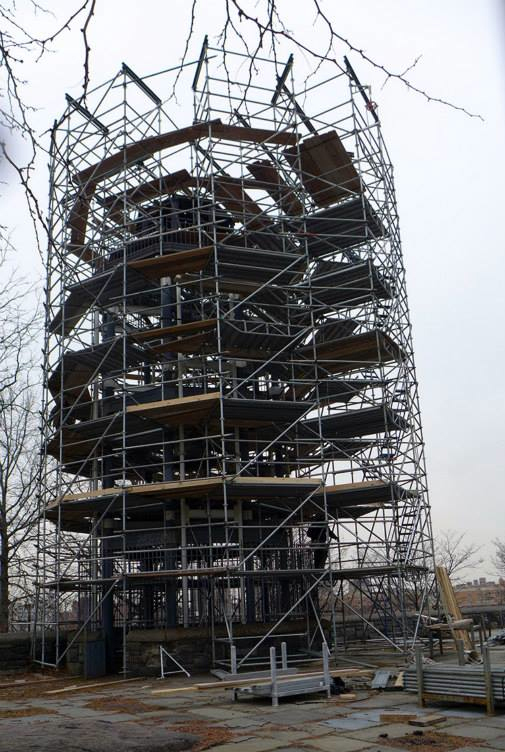 January 6th Scaffolding complete around the tower. Photo Lynn Lieberman. 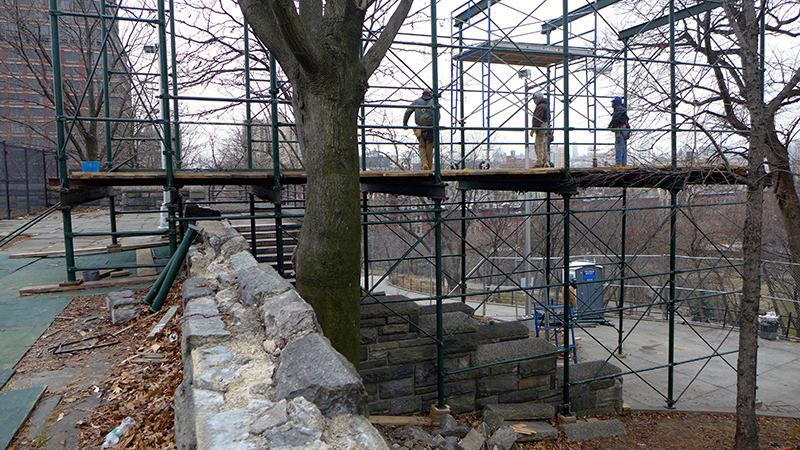 January 6th 2015 Scaffolding extending past the Acropolis which will be used to lower individual pieces of the tower onto trucks that will take the crated pieces to storage.